FALL RIVER, Mass. 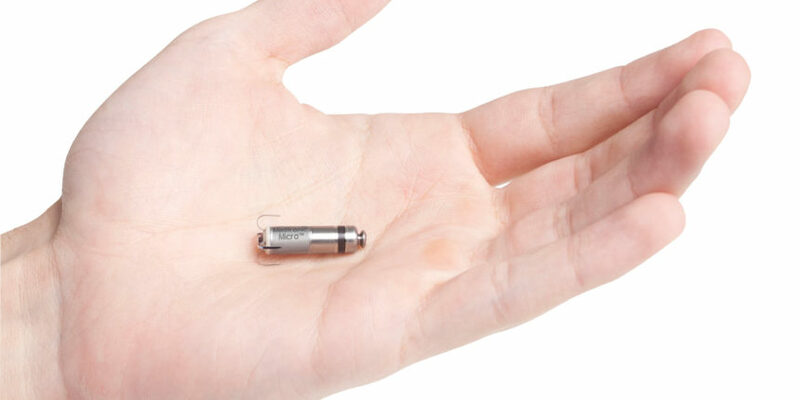 — Southcoast Health announced today that Charlton Memorial Hospital is the first hospital in Southeastern Massachusetts and Rhode Island to implant the world’s smallest pacemaker. The initial procedure was performed Friday by Dr. Arnoldas Giedrimas. Comparable in size to a large vitamin, physicians at Southcoast Health have elected to use the Medtronic Micra Transcatheter Pacing System (TPS) because unlike traditional pacemakers, the device does not require cardiac wires (leads) or a surgical pocket under the skin to deliver a pacing therapy. Instead, the device is small enough to be delivered through a catheter and implanted directly into the heart with small tines, providing a safe alternative to conventional pacemakers without the complications associated with leads – all while being cosmetically invisible. The Micra TPS is also designed to automatically adjust pacing therapy based on a patient’s activity levels. “By having a design that is 93 percent smaller than a traditional pacemaker, this pacemaker is able to eliminate the need for leads and a separate pacemaker pocket. This eliminates complications that can come with those aspects and has been shown to have half the complication rate of traditional devices. It offers a new option to patients that have had a prior complication such as device infection, lead fracture or where there is difficulty in using the upper veins to implant the pacemaker. It maintains excellent battery longevity and is MRI compatible. It also offers a new option to patients that want to avoid the cosmetic aspects of a pacemaker in the upper chest area,” explained Dr. Giedrimas. Recently approved by the U.S. Food and Drug Administration (FDA), the Micra TPS is a new type of heart device that provides patients with the most advanced pacing technology at one-tenth the size of a traditional pacemaker. 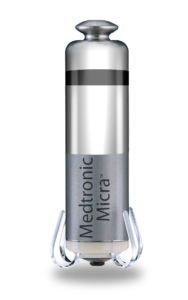 Micra is the only leadless pacemaker approved for use in the U.S. The Micra TPS is approved for patients suffering from bradycardia, a condition characterized by a slow or irregular heart rhythm, usually fewer than 60 beats per minute. At this rate, the heart is unable to pump enough oxygen-rich blood to the body during normal activity or exercise, causing dizziness, fatigue, shortness of breath or fainting spells. Pacemakers are the most common way to treat bradycardia to help restore the heart’s normal rhythm and relieve symptoms by sending electrical impulses to the heart to increase the heart rate. MicraTPS forPR US wVO v02 from Southcoast Health on Vimeo.